Do you need help to manage payroll in your business? Let Matrix Support manage your payroll management so you can focus on your core competencies. Accounting and payroll are two areas of work that will be both boring, difficult and complicated for most businesses. This is especially true for smaller companies where you do not have the resources to hire employees with specific skills to handle payroll. However, with the help of Matrix Support, you can still provide your company with the necessary skills in payroll and accounting. In several large companies, there are also good opportunities to optimize precisely on the accounting and wage management. Matrix Support has many years of experience in managing payroll for companies. An experience and expertise we would like to offer you so that you can focus on what you are best at. Should Matrix Support take care of your salary? 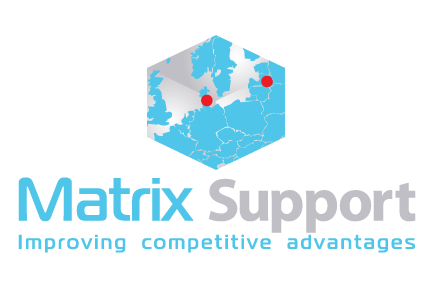 Matrix Support has been collaborating with companies over many years and knows the importance of tailor made solutions. Contact us today to hear how we can help you. It’s quite noncommittal and we look forward to hearing from you. You can also read more about our other services here. “Matrix Support adskiller sig fra andre, ved at man får en samarbejdspartner og ikke bare en leverandør. Svartiderne er enormt hurtige, og det bedste er at man altid kan spørge dem til råds ved at skrive eller ringe uden at være nervøs for at blive faktureret når de tager telefonen, som det er hos flere andre steder."